Hello from Olympia! 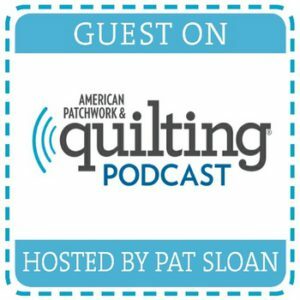 I am a beginning (wannabe) quilter who just stumbled upon your fantastic blog. I'm so glad I did! 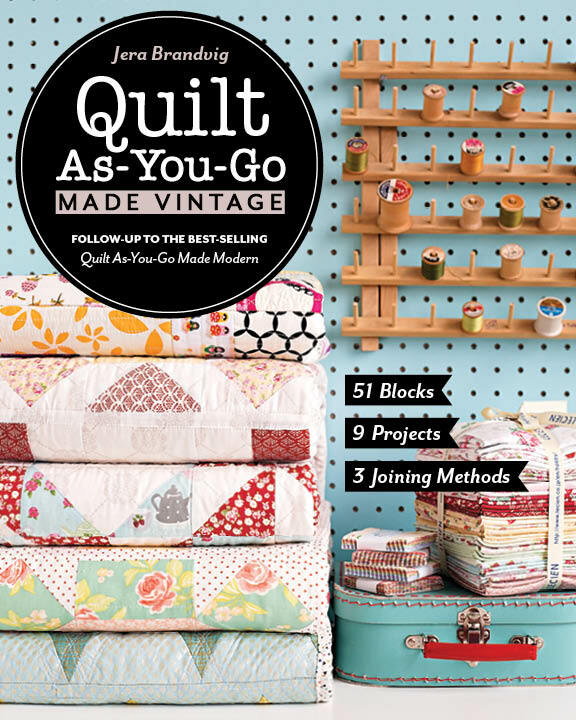 Your tutorials are so clear and your quilts are just gorgeous! I will definitely be back! Thanks a bunch! Did you bend the safety pins yourself or did you buy them that way?? thanks!! 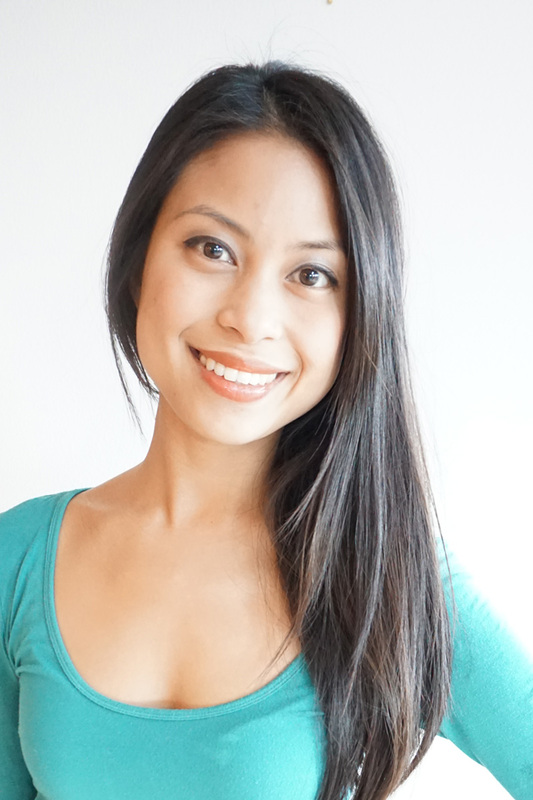 Hi everyone – thanks for stopping by! >>You can buy the curved safety pins at most crafting stores. I use a yard stick to smooth out bumps in the middle. I just run the edge from the center of the fabric outward. 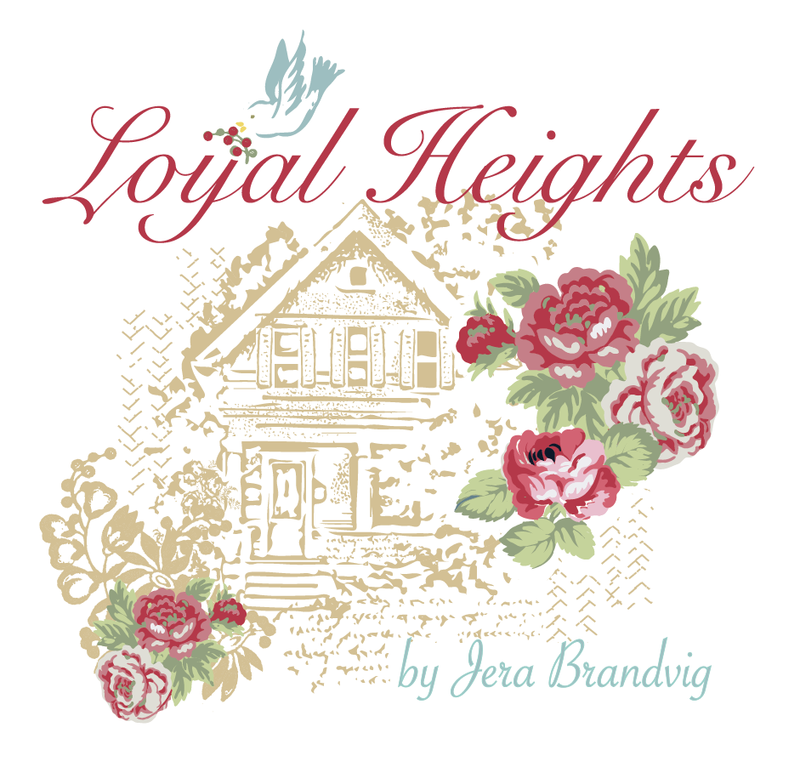 Jera, I am LOVING your blog – I found it while searching the internet for quilting tutorials. 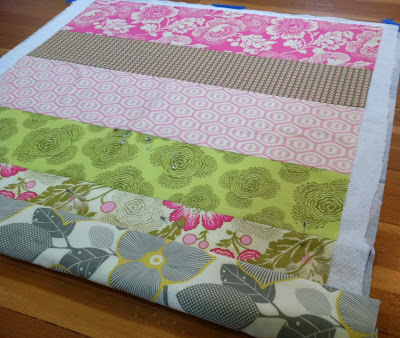 I am sewing up one of your makeup bags this afternoon – I'll send you a picture! Ahh so helpful. For my first quilted project I used your tutorial for the little quilted makeup bag. It turned out great in the end but like 2 inches smalled b/c the fabrics moved around and the edges looked horrible so I had to cut them smaller. Ha. This post is very helpful!! 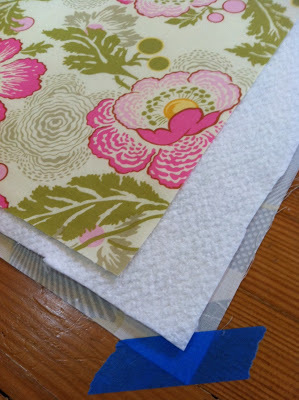 To Christen: The line of fabric I used is called 'Midwest Modern' by Amy Butler. 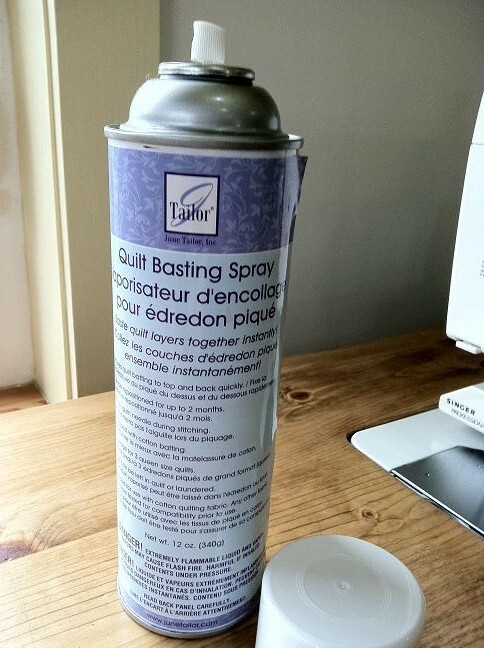 I usually baste the same way you do – pins for smaller, spray for larger. I can only WISH I had a wall with enough space to baste that way – it's either the floor or 2 tables side by side for me. 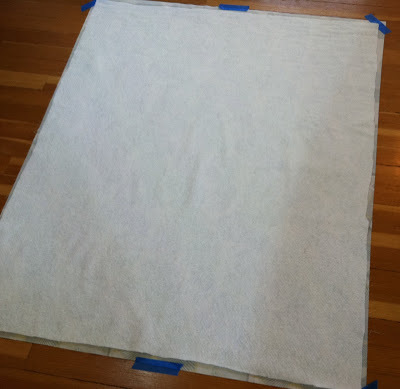 I use an old sheet to catch overspray. Wanted to provide a word of caution tho – the last quilt I spray-basted the sprayer broke the second I started and I couldn't get it to stop – it was a new can and would've done at least 3 quilts. That stuff is tough to get off things you don't want it on! I finally just put it in the bottom of a trash can – wish I had thought to put it in a bag first – the trash can had to be tossed. It washed out of the quilt just fine, tho (once done). Always does! Thanks so much for the spray basting tutorial. I normally struggle to get a satisfactory result by putting it together on the floor. Definitely getting DH to put some canite or cork tiles on the wall this weekend so I can get rid of the wrinkles and frustration. Best article I've found. Thank a you! 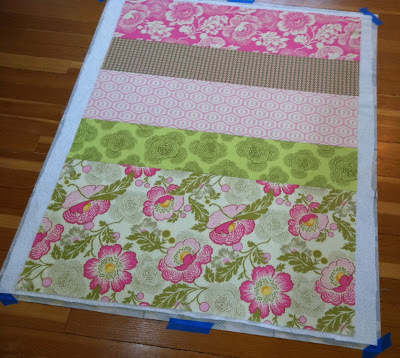 I'm working on my very first quilt-a small one I'm making with my daughter and this is so helpful! How do you pin without scratching the floor? 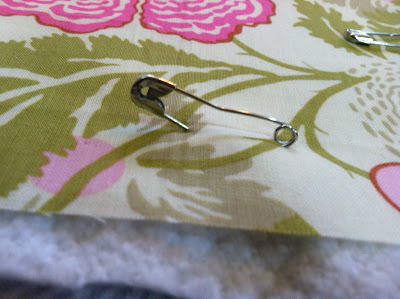 Try using curved safety pins- it really helps! The result is the long, luxurious evening that may start with dinner, or may never leave the hotel. Your gay sizegenetics will simultaneously relax and stimulate every inch of an body. If you love it to stop there, it will; when you want more, then thats generally what you should will get. Your gay sizegenetics therapist should be prepared to undertake whatever you desire to make sure your physical satisfaction. However this is great news even for those men who truly only want a sizegenetics. Thank you so much for this helpful post! I will have to find some curved pins ASAP! 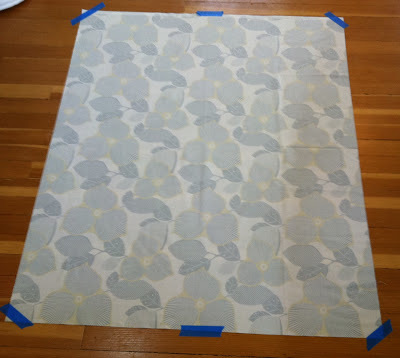 I just finished my first quilt top and have been nervous to start the quilting process! Thanks for your tips! 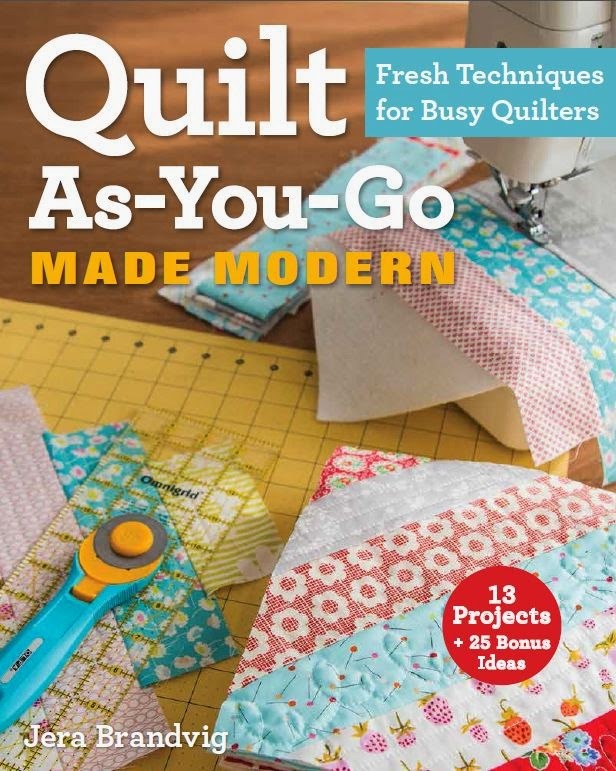 I am trying this tonight – as a new quilter this looks like a real lifesaver for me! When ever I pin the 3 layers today I always get puckers on the backing. Wow – the basting wall is a fabulous idea. What is it made from and how is it attached to the wall? Couldn't figure it out even after watching the video twice. I just finished a top with curved pins and crawling around on the floor. Ouch. I was going through the comments for this. Tutorial and there seems to be an unrelated kind of weird comment. Maybe you should rove it if you are able.